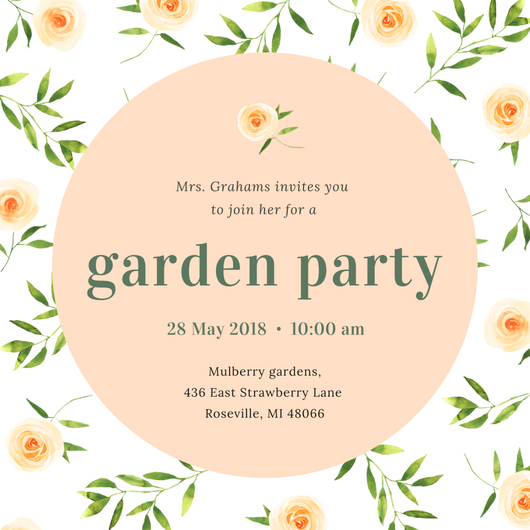 The cozy embrace of nature, the light feeling of being out in the open air - you already have a lot of things going for you when you throw a garden party! 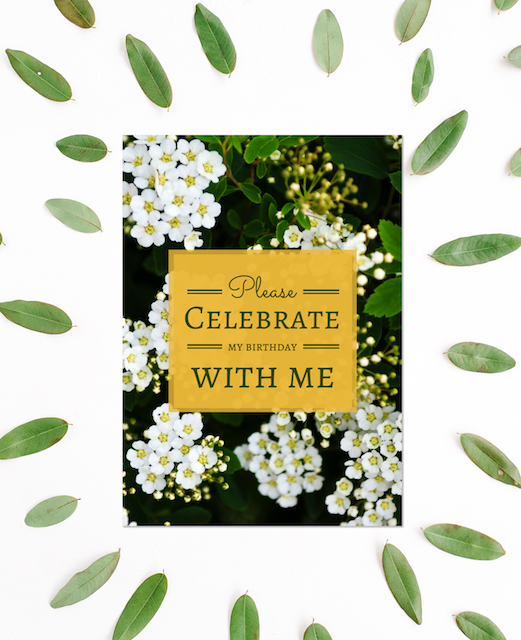 Take it up a notch with a few inspired and creative ideas from our collection of charming designs and beautiful images! 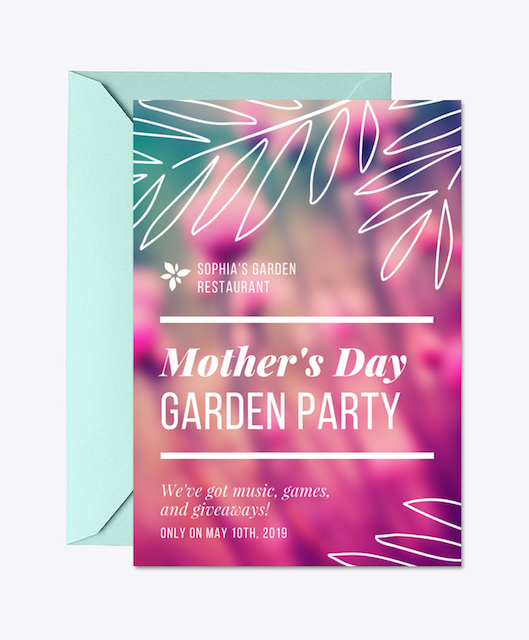 Make your garden gathering a party to remember! 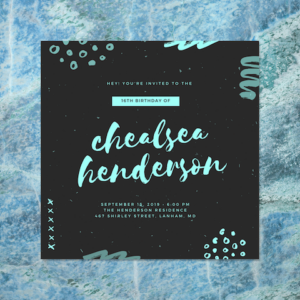 Set the perfect mood with a gorgeous invite, postcard, or flyer. 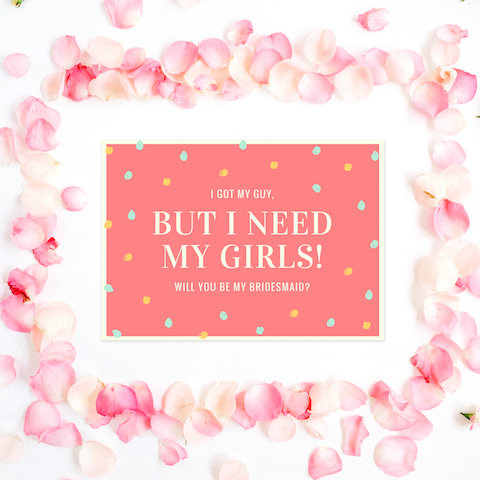 Scroll through our selection of beautiful designs and find the perfect one that you and your guests can’t help but fall in love with! 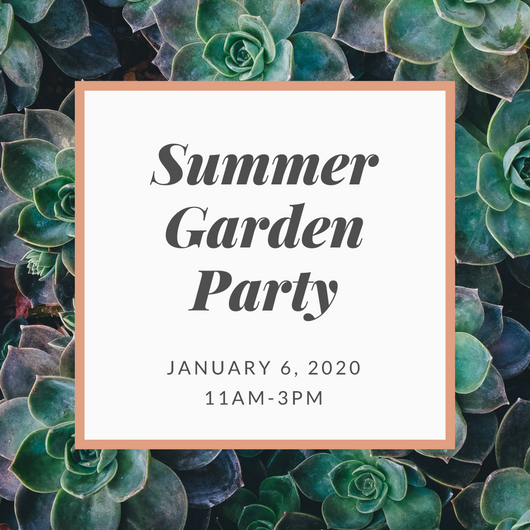 Are you imagining beautiful floral arrangements, rustic decorations, or stylish and elegant table settings for your garden party? Explore these ideas and other inspiring concepts in our collection of stunning images and designs! 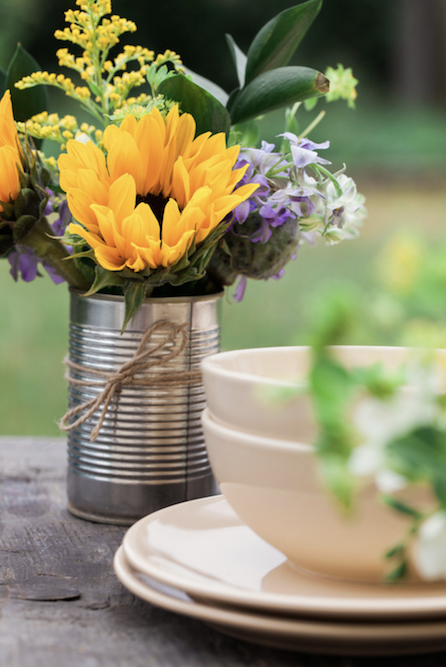 Use polished cans for your floral arrangements to create a rustic look! 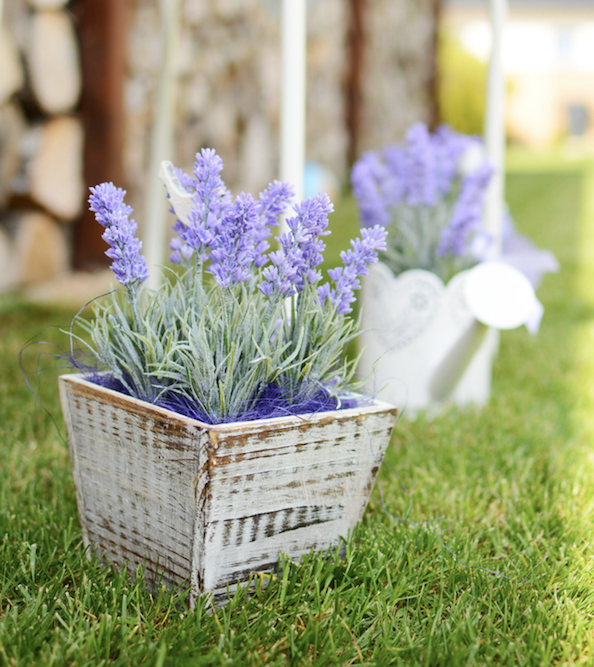 Make your garden venue shine with flowers showcased in wooden planters! 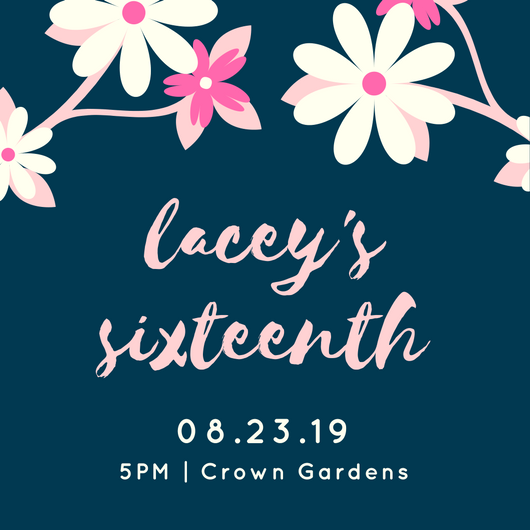 Keep it straight to the point with this gorgeous birthday invite sporting a background photo of white flowers and green text on a yellow background. 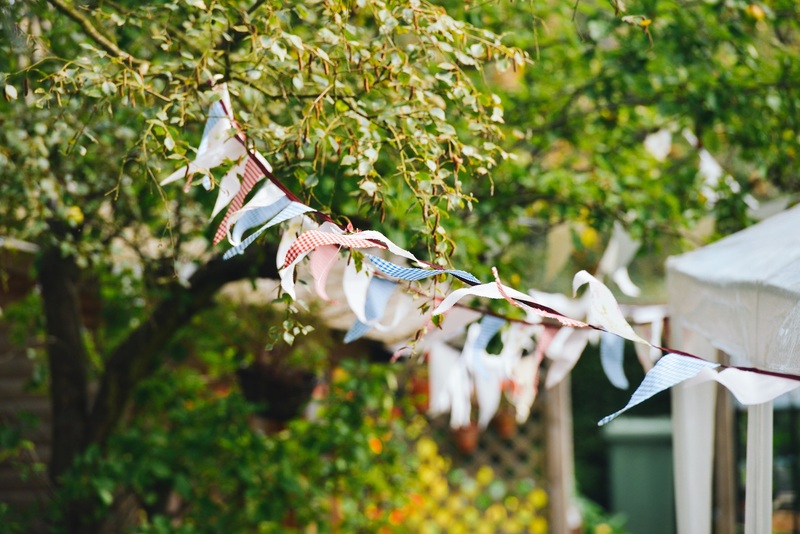 String up colorful and printed buntings! They will create a festive vibe everytime the breeze blows! Let your dessert course match the type of party! 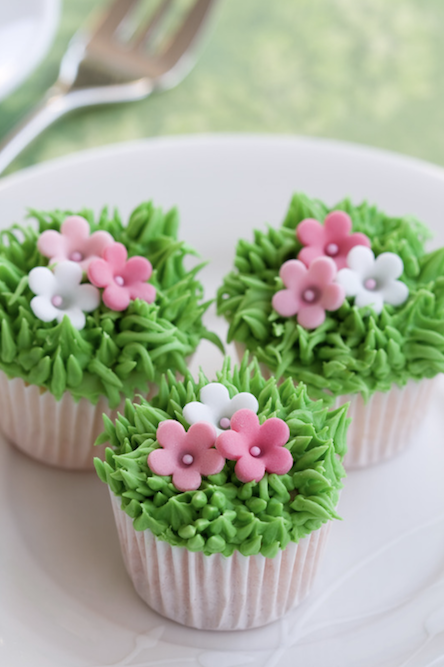 Serve delicious cupcakes with floral garden decorations. 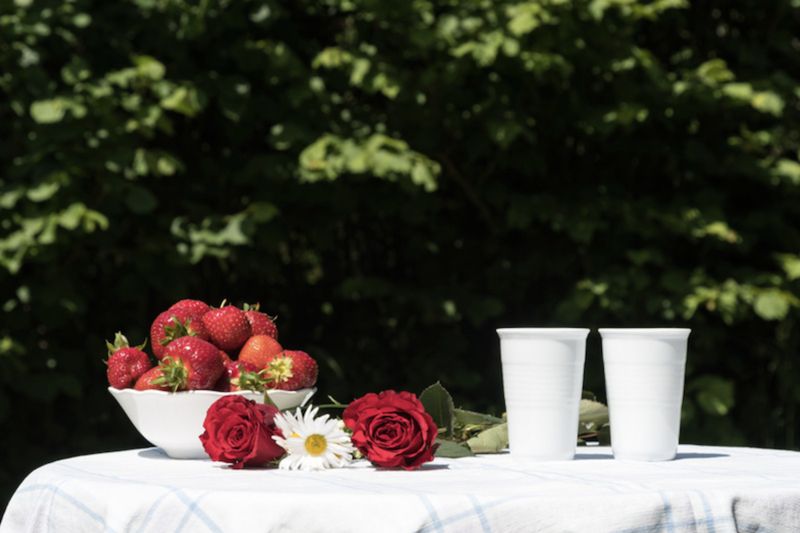 Fresh berries at a garden party simply sounds divine! 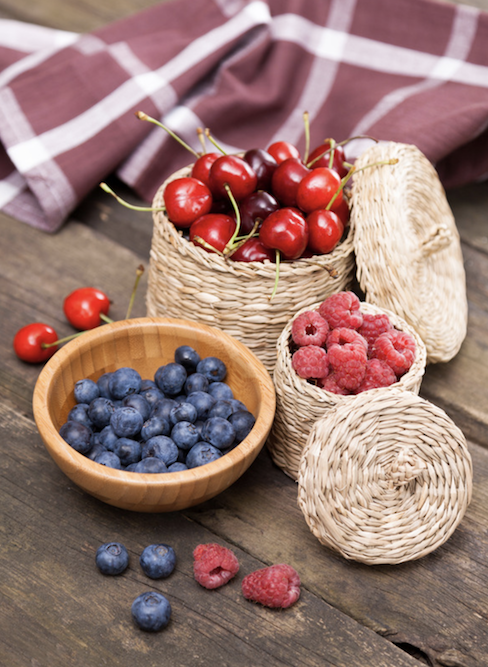 Set out assorted fresh berries as part of your appetizer or dessert course! 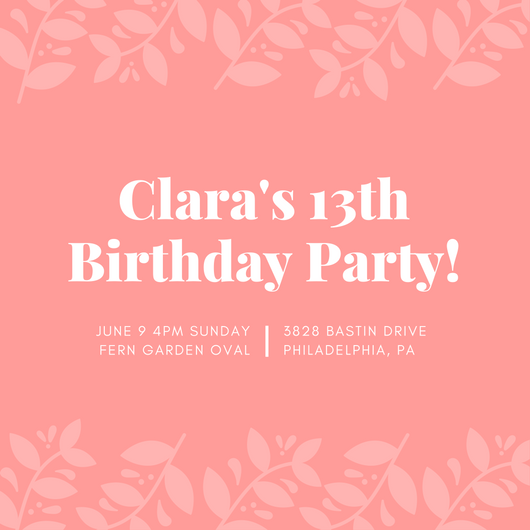 Start your party the right way with a great invite! 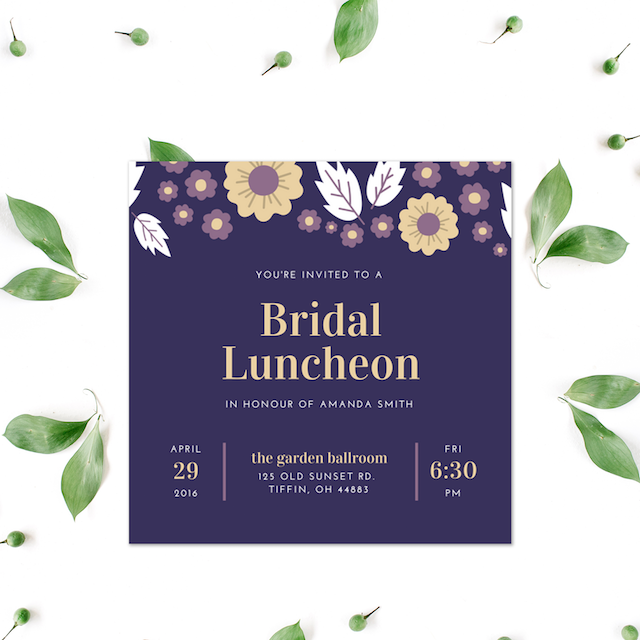 Use this violet and beige invitation featuring floral illustrations and text in a mix of print fonts. Choose a color motif and incorporate it in your decors and dishware! 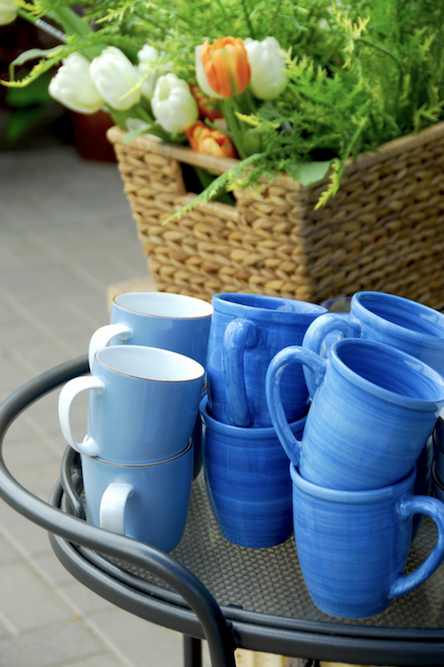 Take the cue from this image of same-colored mugs and cups! 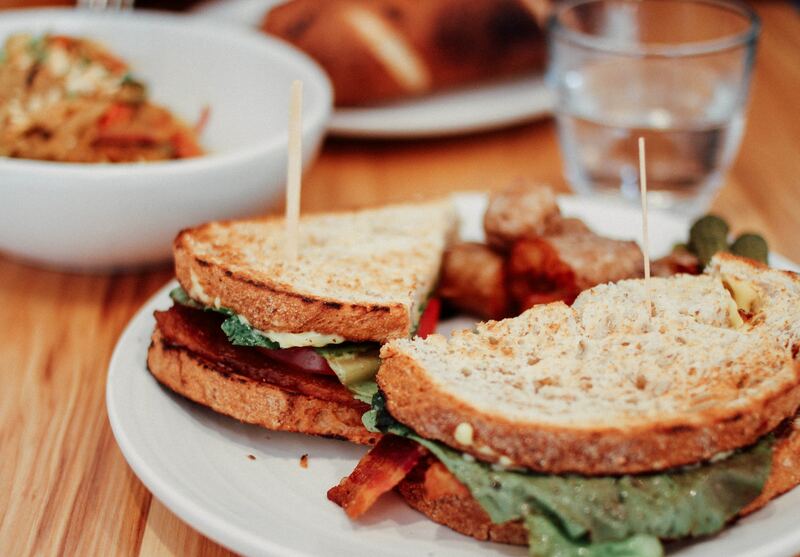 Let your food energize your guests! Serve a fresh and healthy menu of salads! 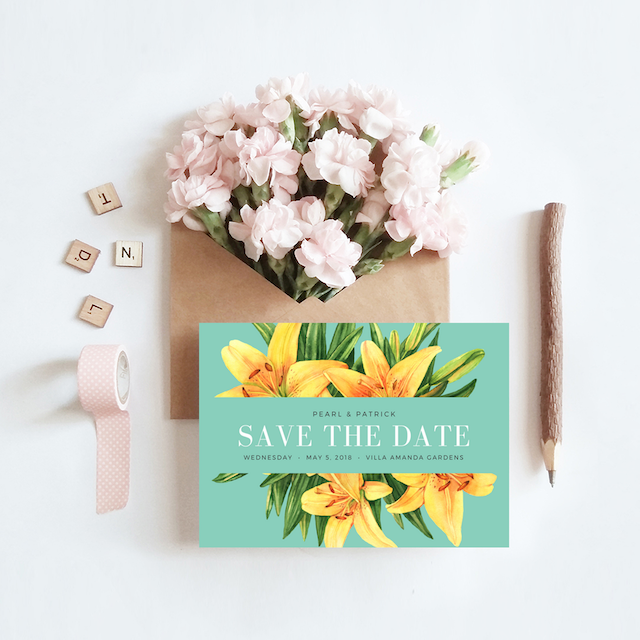 Invite your guests with this gorgeous postcard sporting a green background and lovely yellow stargazer illustrations. 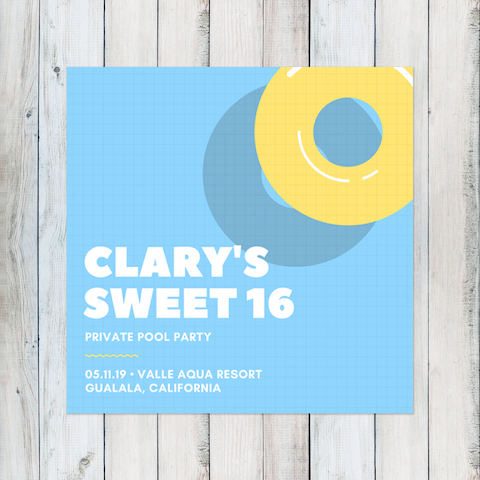 This design also features text in simple and elegant print fonts. Keep your decorations simple and charming! Lay out flowers or fruit bowls to brighten up your tables. 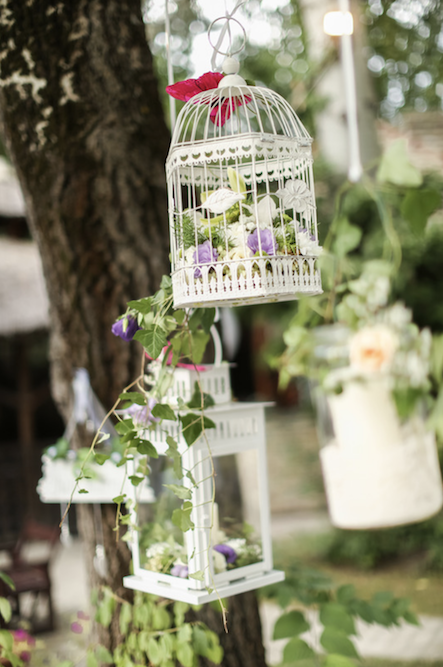 Deck your party venue in pretty floral arrangements hanging from the trees. kip the identical furniture and dishware! 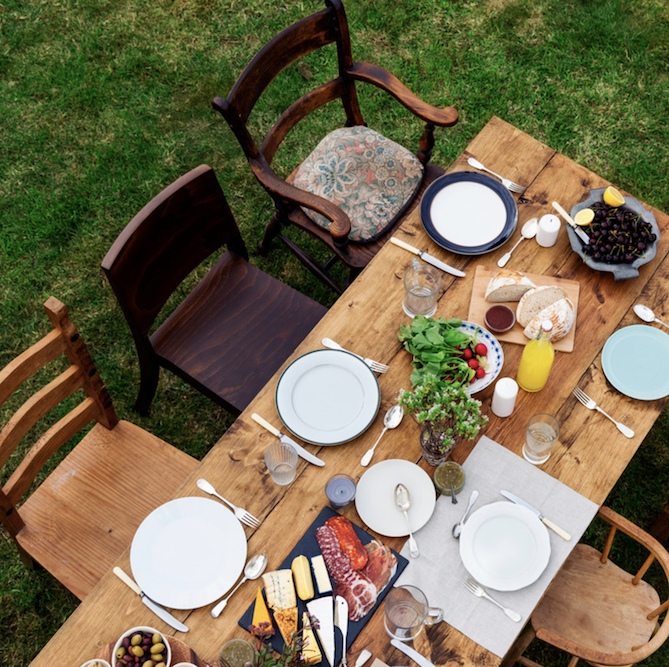 Use different chairs and plates to add a touch of charm and whimsy to your party. 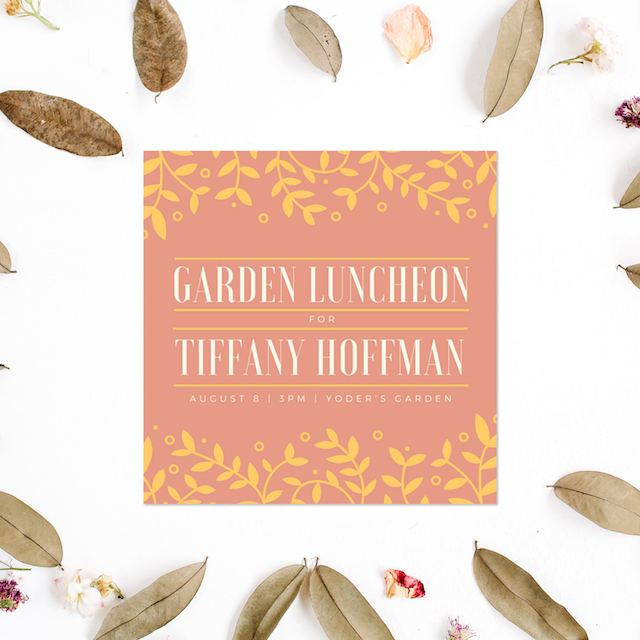 Gather your girls together with this fancy and feminine luncheon invitation sporting a pink background and yellow illustrated leaves. It also features text in a mix of print fonts. 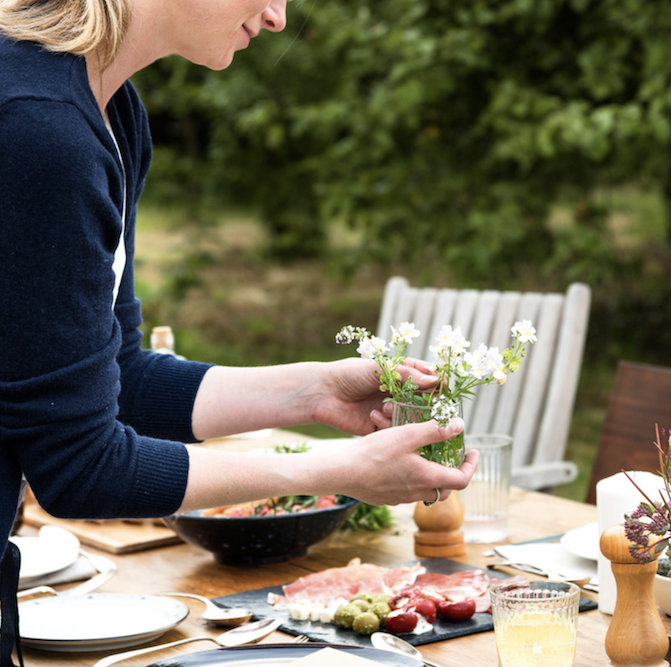 Liven up your table settings by placing pretty wildflowers in small glasses or cups! It’s a nice and charming way of adding decorations that don’t overwhelm! 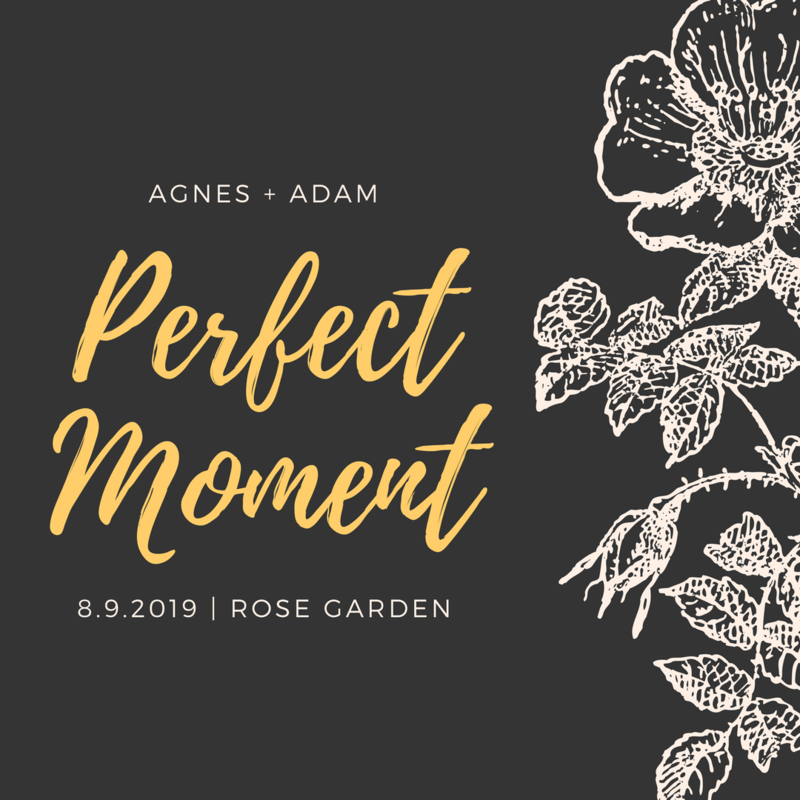 Turn the tables and send your guests flowers! 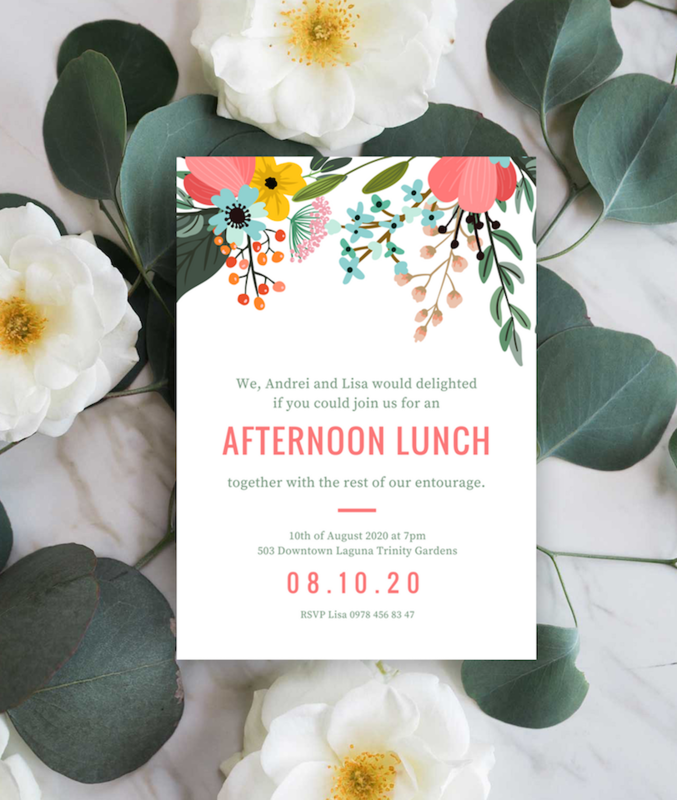 A pretty floral invitation, that is! 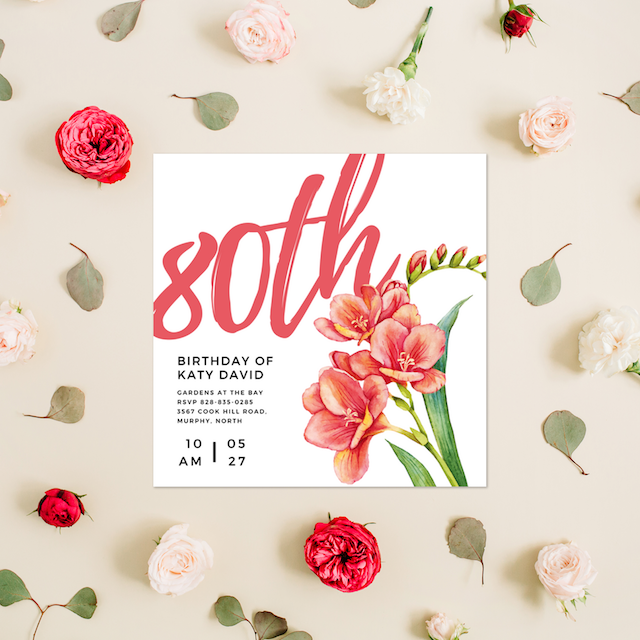 This design sports a white background, a peach floral illustration and bold script. 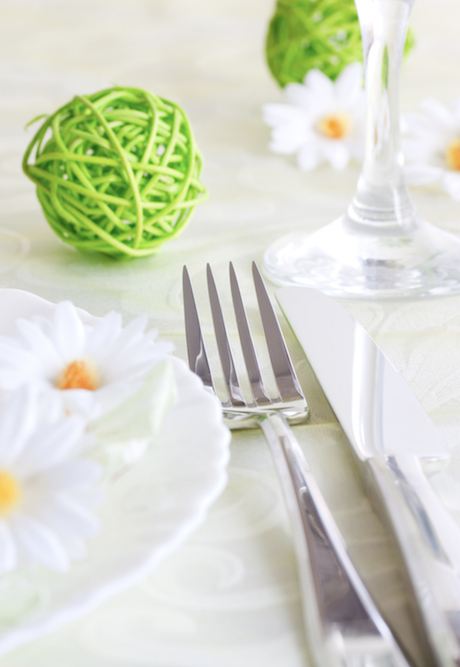 Embrace the whole garden concept by using flowers and green elements in your table settings! 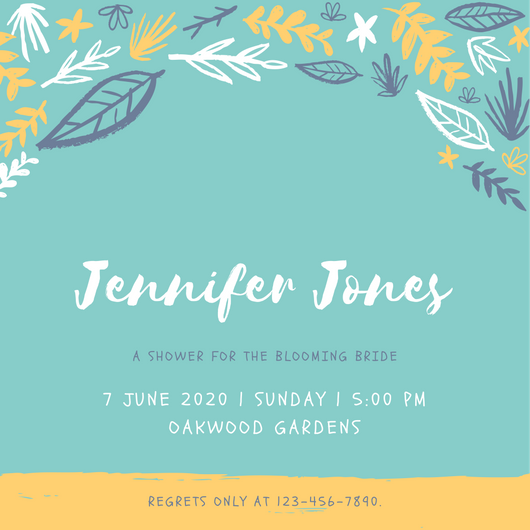 Draw attention to your event with this stunning flyer featuring a blurred floral background, white leaf illustrations and white text overlay. 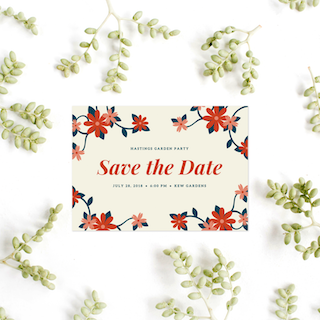 Get your guests to block off the date of your party with this charming postcard featuring a cream background, red and blue floral illustrations and elegant typography. 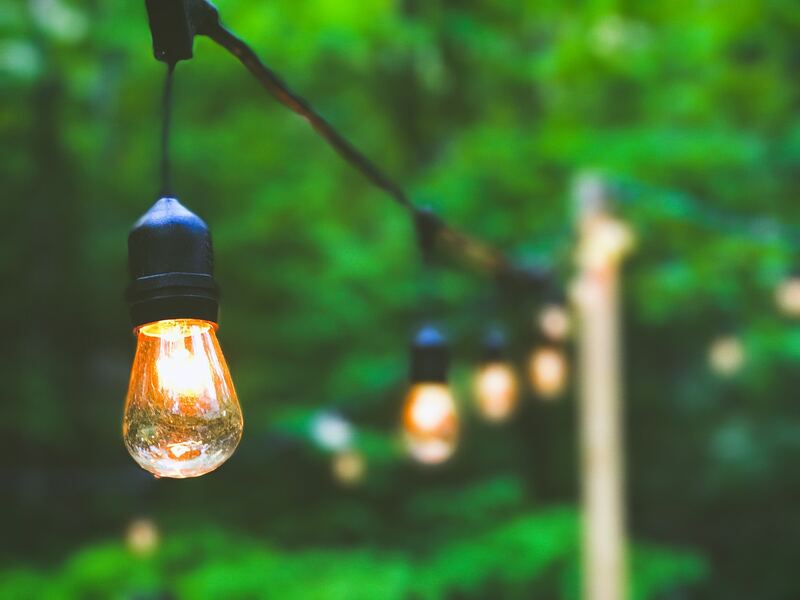 Decorate your venue with a string of lights! The warm glow will create a nice and cozy ambience for your party. 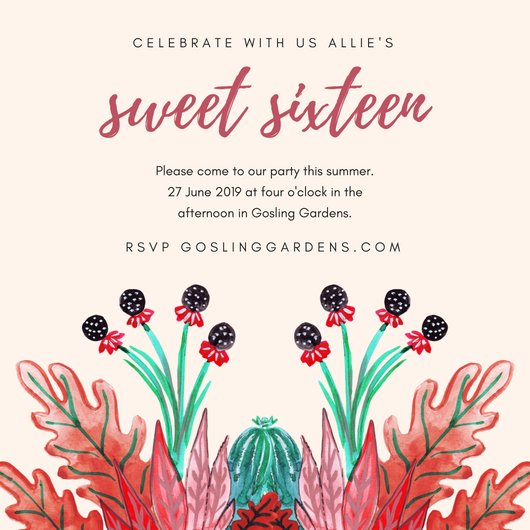 Get everyone on the same page with this lovely invitation sporting a light peach background, pink floral illustrations and bold typography in a mix of print fonts. 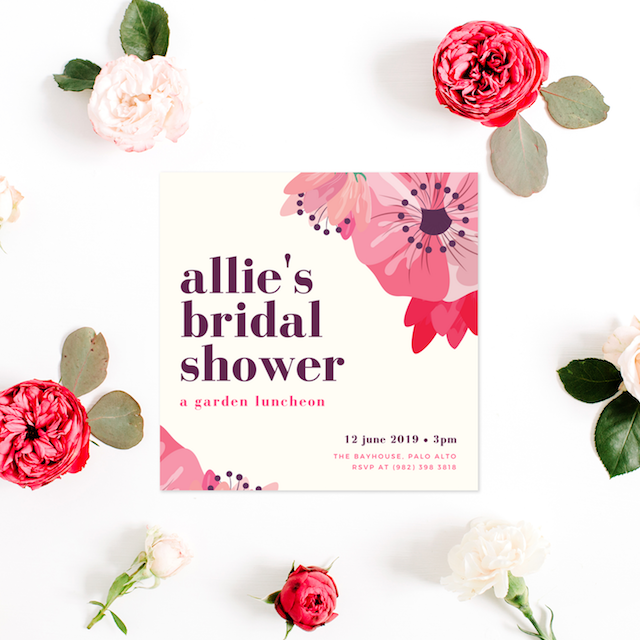 Make your guests excited about your party with this sweet and feminine invitation. 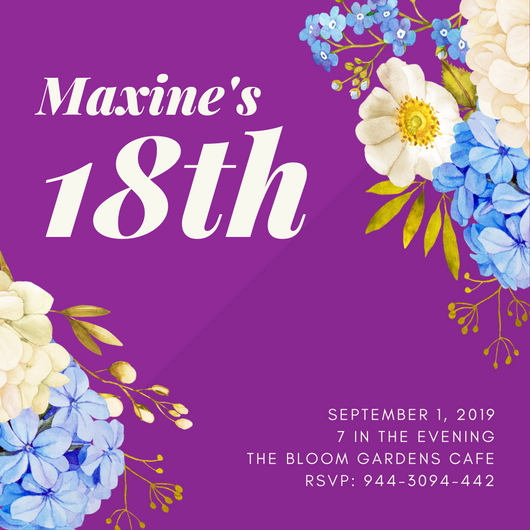 This invite sports a blue background and purple flower illustrations bordering the top. 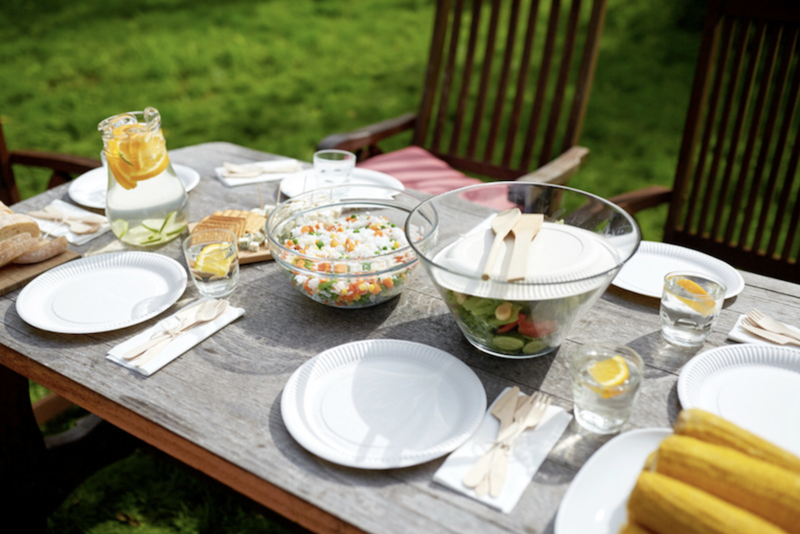 Make it easy and convenient for everyone by using disposable plates and utensils! Cleaning up will be a breeze and you won’t have to worry about breaking anything! 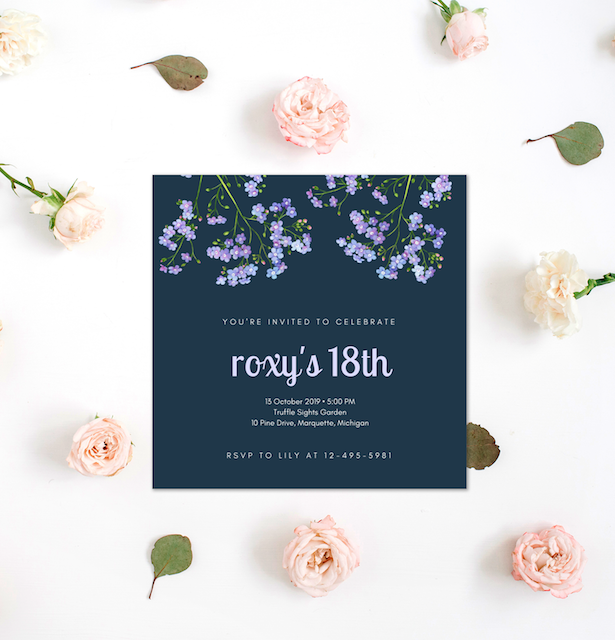 Give your friends and family a taste of the look and feel of your event with this enchanting invitation sporting a white background, colorful floral illustrations at the top and text in a mix of print fonts. 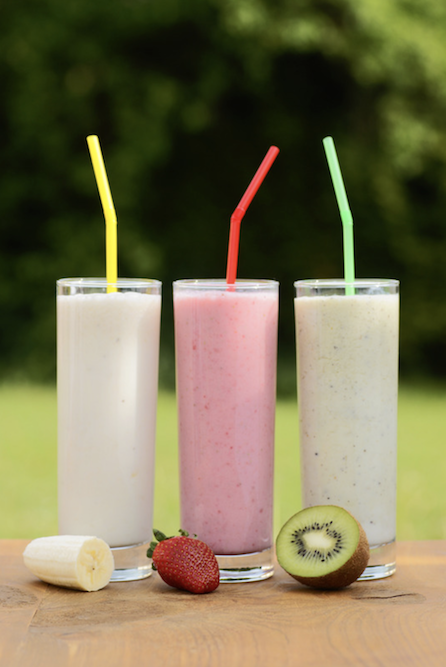 Keep your guests cool and refreshed with yummy fruit milkshakes! Ensure that they have different fruit options! 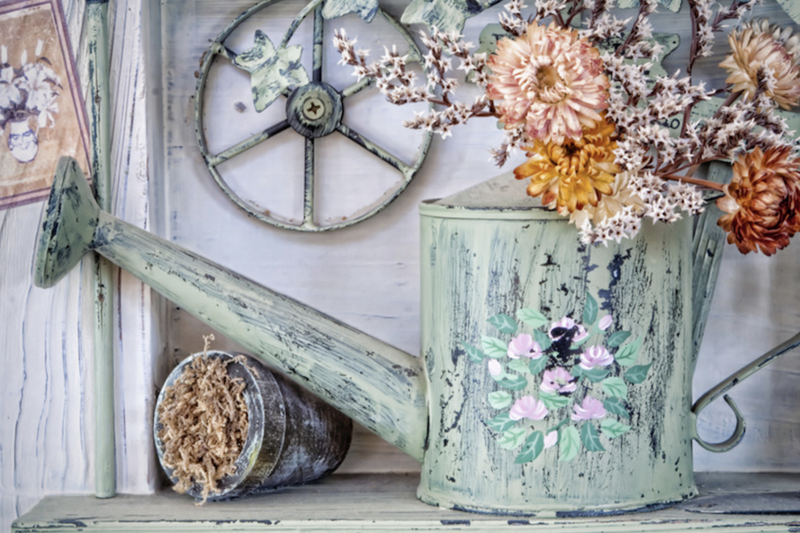 Stay true to the charming and rustic garden theme by displaying vintage gardening tools such as a classic watering can and old pots. Even the simplest or smallest of flowers can brighten up anything! 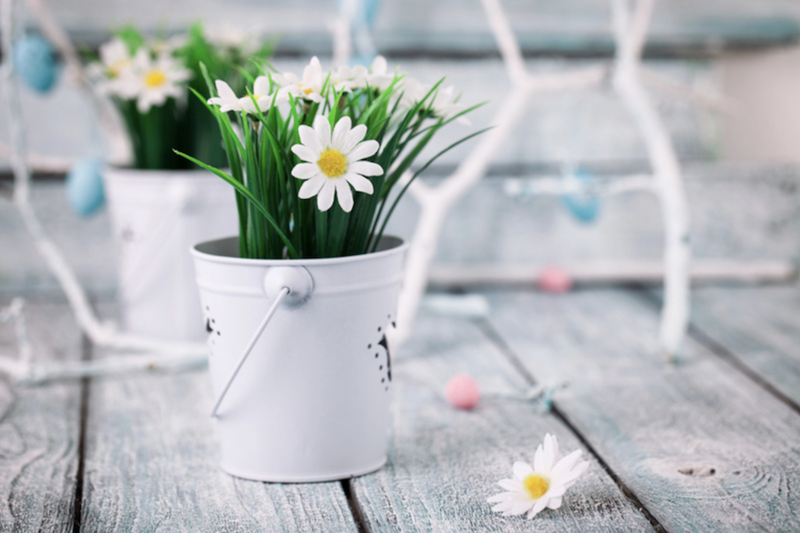 Decorate your garden party with lovely daisies in small buckets for a chic look! Don’t stress about your menu! 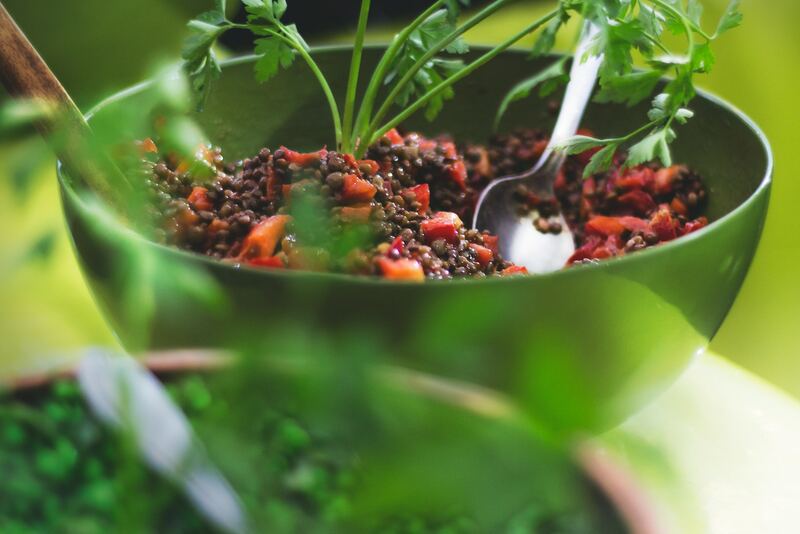 Serve light and nutritious dishes that are easy to eat! Surprise your party guests with a creative way of serving veggies! 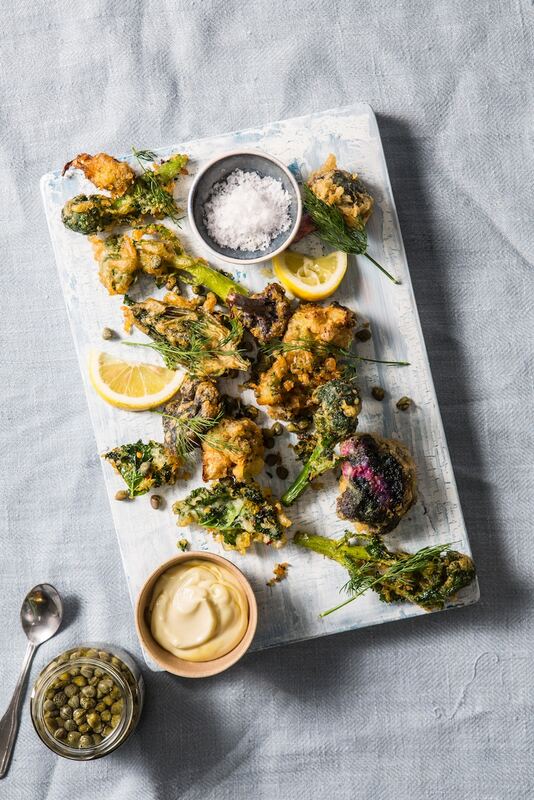 Serve a platter of vegetable tempura with dips, salt, lemon and capers on the side. 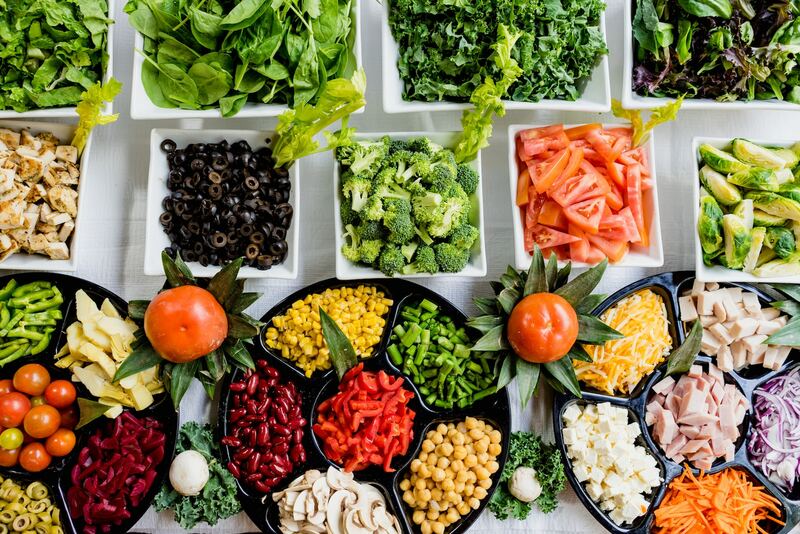 Pull out all the stops and serve a gorgeous and colorful salad buffet! All the colors and healthy ingredients will make for a bright and lively party! 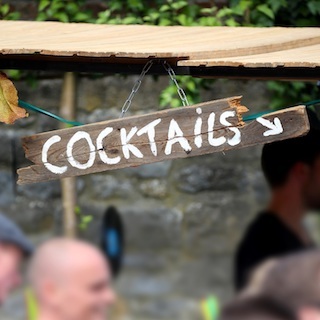 Create a rustic and homey environment with wooden signs that help direct your guests to the food, drinks or dance area! 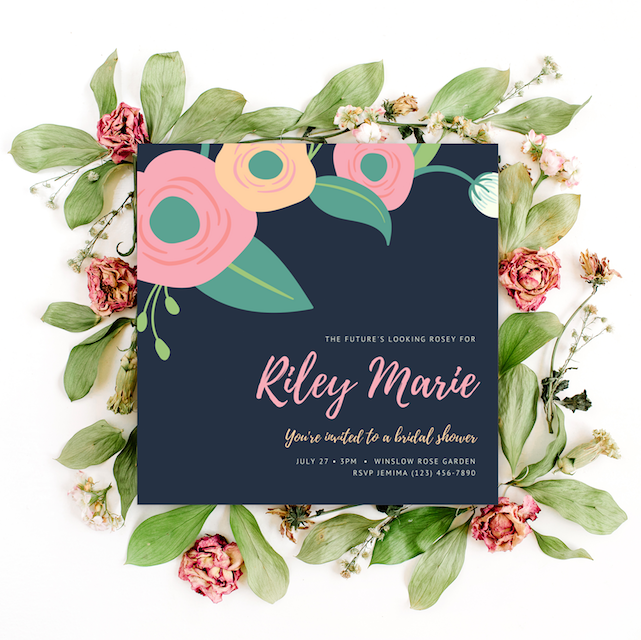 Keep your invite charming and rosy with this design featuring a blue background and colorful floral illustrations. 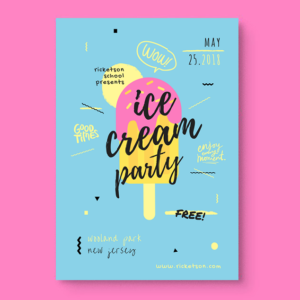 It also features text in a mix of modern script and print fonts. Make sure you have paper napkins at the ready! 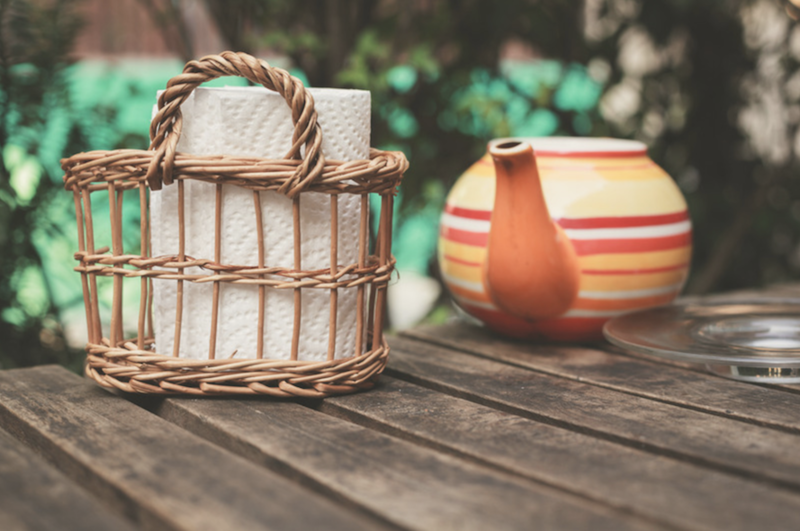 Keep it tasteful by placing the paper towels in cute baskets. 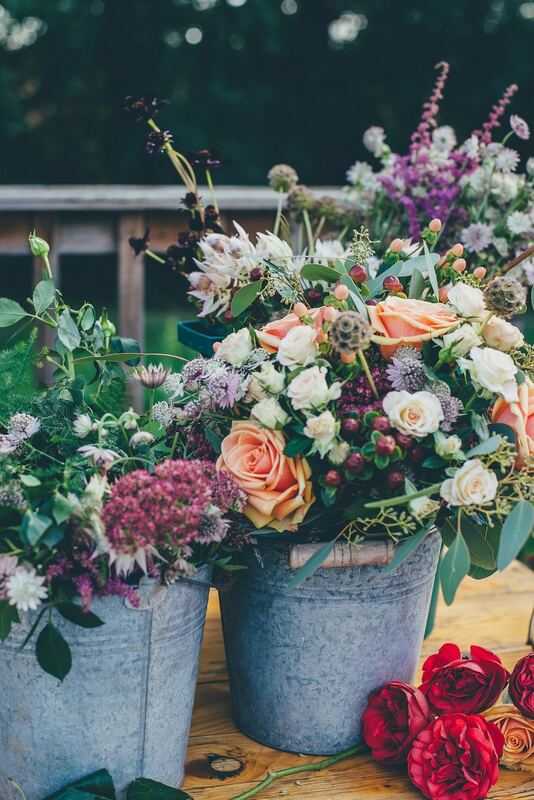 Let colorful and assorted flowers turn your garden party into something magical! Showcase them in metal buckets to create a country or rustic feel! Kick off your party with this floral wonderland! 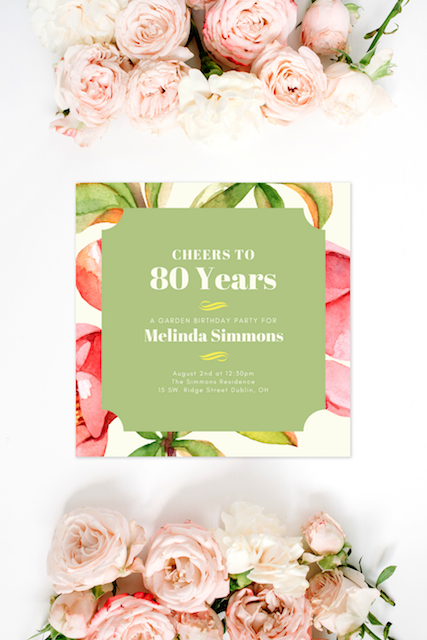 This party invitation features pink watercolor flowers and white text on a green background.